← Most expensive house in the world – wasteful or lavish self-indulgence? There is nothing like enjoying a lazy afternoon with friends, food and booze. My love for brunch is inexpressible. In New York I enjoyed brunch a lot and with so many choices I never got tired but I did have my favorites like Cafe Mogador in the East village and Nero D’Avola in the Meat Packing District. My last brunch was about three months ago in New York therefore I had to go out for brunch in Bombay – so this past Sunday a few friends and myself went to Indigo for brunch. Indigo occupies a colonial bungalow in Colaba near the Gateway of India and behind the Taj Mahal Palace Hotel. It is a two level well designed space with a lounge and an open balcony. Each space is colored in a different hue and exudes warmth. The atmosphere is relaxed and the lighting mellow. Once you are seated the staff promptly comes over with a drinks menu and explains how it all works. The brunch includes unlimited drinks, a salad bar, a choice of entrée and a spread of desserts. The drinks selection comprises of Indian wines, sparkling wines, sangria, cocktails, twisted shots and beers. The staff is very friendly and attentive but do not hover around the table. They get you drinks as you request them and make sure that you are not kept thirsty. The Sunday brunch is accompanied by a live jazz band. It does make conversations a little difficult but as the afternoon progresses it becomes very entertaining. At about 3pm our server approached us and requested us to place the order for our entrées as the kitchen closes by 4pm. After placing our orders for our entrée some of us could not wait for desserts so we went and grabbed dessert which was a fine spread. The array of desserts included créme brulée, chocolate and hazelnut mouse, blueberry cheese cake, chocolate cake and more. After another round of drinks our entrées arrived. We were a group of seven; three of us ordered the egg benedict with ham, one of my friends ordered a smoked salmon salad and I cannot recollect some of the orders. Across from our dining space on the right was another room and a group of people were celebrating someone’s birthday. Two to three people from their group began dancing merrily in front of the band. On seeing them dance my feet could not resist so I dragged one of my friends along and we too joined them on the dance floor. A little later we were joined by Bollywood actress(that is debatable) Sherlyn Chopra and her friends. It was a very relaxing experience and the location is great as after brunch one can walk along the wall by the Gateway of India but we did not get to do that as all of us had to rush back home. One can stay here for hours, we ended up staying an hour after closing time and the staff did not rush us at all. The quantity and quality, both of the food and drinks as well as the service were great. The brunch is not cheap but excellent for it’s value, definitely worth returning to and not just for special occasions. Reservations are a must. 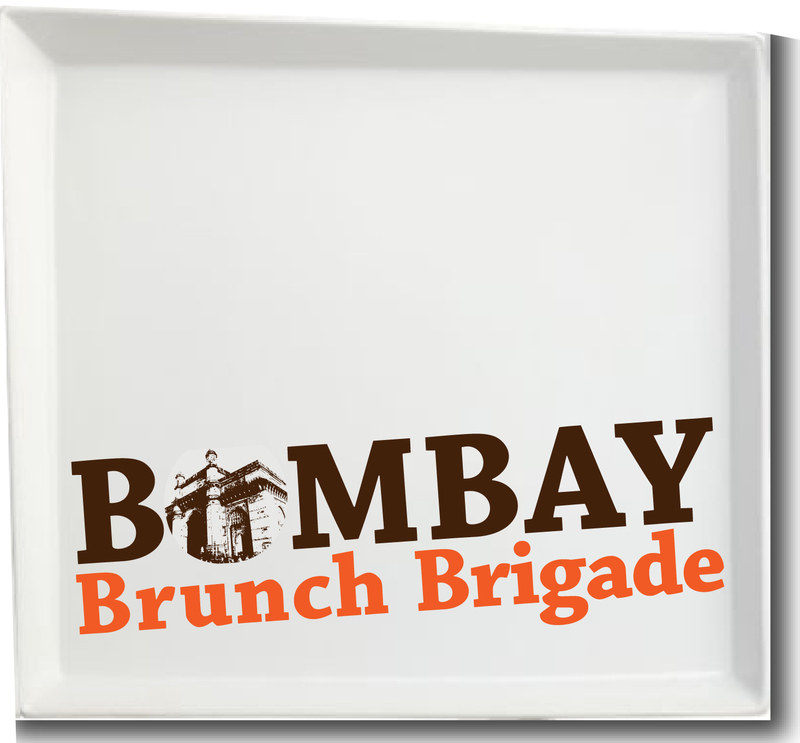 After a fabulous brunch at Indigo I have decided to form a group called Bombay Brunch Brigade. The purpose of this group will be to meet once a month – have fun, find a travel partner, a date(may be), share brain farts and savour brunches. We will be exploring different brunch places all over Bombay. Join our Facebook page for the next brunch date and location information. This entry was posted in Culture, Design, Fashion, Food, Travel and tagged Bombay, Brunch, Colaba, Food, Gateway of India, Mumbai, Sherlyn Chopra, Travel. Bookmark the permalink.